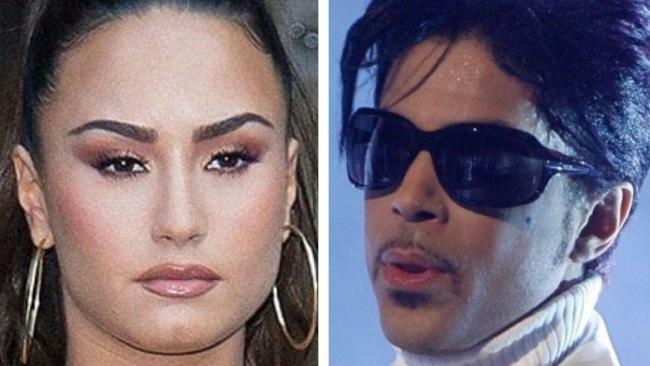 Demi Lovato reportedly overdosed on the same drug that killed singer Prince. DEMI Lovato's recent drug overdose occurred when she smoked oxycodone which had been laced with fentanyl, it has been claimed. The singer is reported to have "freebased" the mixture at her home with a dealer known for buying "dirty" drugs from Mexico, reports The Sun . Sources told TMZ she had been at an LA party before returning home and calling up the dealer, who she'd only known since April. He then travelled to her house where the pair smoked the drugs, but when he realised she was in bed breathing heavily, he fled. Fentanyl is an extremely powerful opioid prescription painkiller used by many people around the world, but is also used to cut up recreational drugs. Although addiction rates of the drug have infamously skyrocketed in recent years, it found particular notoriety recently for its role in the sudden deaths of Prince and rapper Lil Peep. Lovato, 25, is currently in rehab. She was rushed to hospital after staff found her unconscious in her home last month. The revelation comes just days after her upcoming tour dates were scrapped so she could focus on her recovery. Following her release from hospital, Lovato broke her silence over the incident and thanked fans for their support as she vowed to do whatever she could to get back on the "road to recovery". She wrote in an open letter posted on Instagram: "I have always been transparent about my journey with addiction. "What I've learned is that this illness is not something that disappears or fades with time. "It is something I must continue to overcome and have not done yet. "I want to thank God for keeping me alive and well. "To my fans, I am forever grateful for all of your love and support throughout this past week and beyond. "Your positive thoughts and prayers have helped me navigate through this difficult time. Lovato - who has battled with drugs and alcohol abuse in the past - had stayed away from substances for six years but she recently revealed that she had fallen off the wagon when she released her song Sober in June.